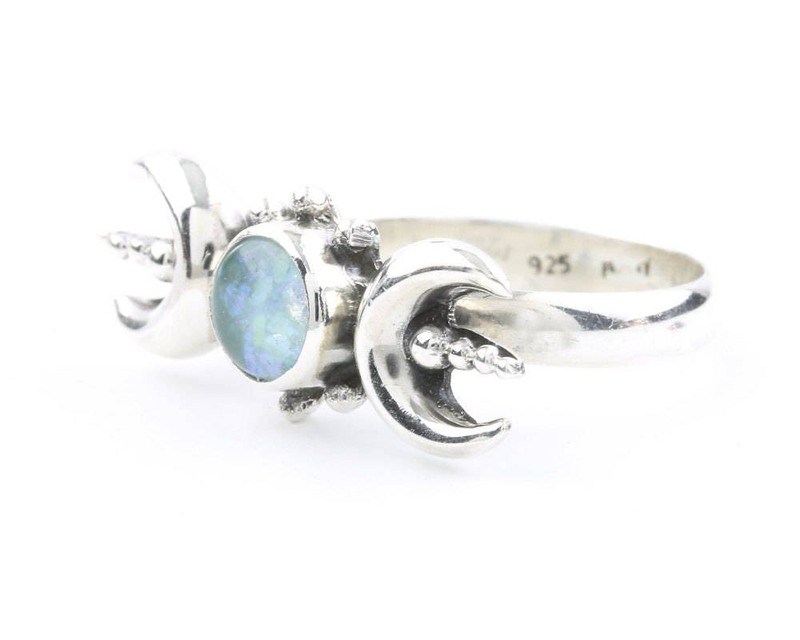 Sterling silver ring featuring the waxing, full, and waning moon. The triple Goddess is a beautiful symbol of feminine energy. It represents the stages of the woman's life; Maiden, Mother, and Crone. 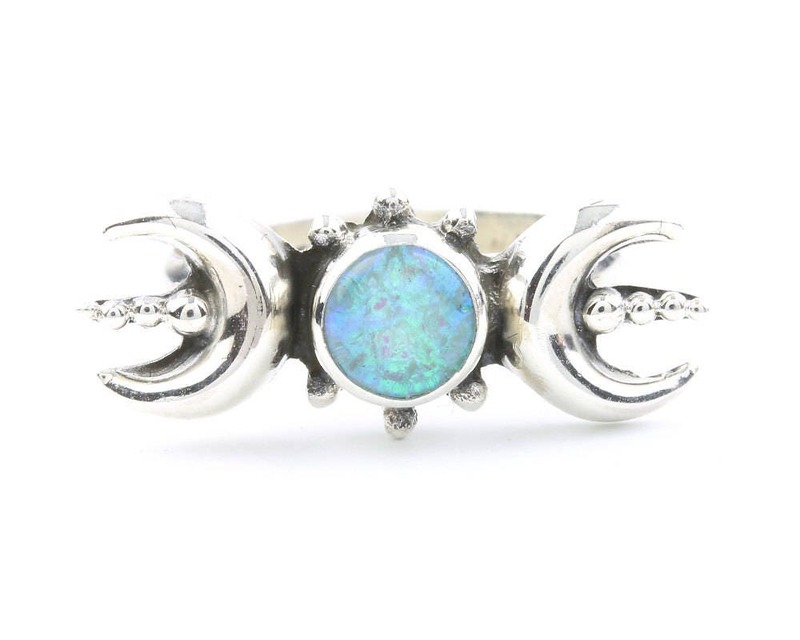 Lovely center lab Opal stone sits in the full moon. Beautiful ring. Good quality. Love it! Pretty ring..... love it. Fast shipping and well protected in its packaging. I'll definitely shop here again and highly recommend this seller! I bought it as a gift, in honor of the recent, full moon, blood moon, blue moon, super moon with lunar eclipse. My friend absolutely loves it!